Fired from natural clay at high temperatures (1100-1300 degrees), LOPO clay pavers have excellent properties, such as strong breaking strength, abrasion resistance, freeze-thaw resistance, corrosion resistance and low water absorption. LOPO clay pavers are beautiful, durable and colorfast, so that they are ideal for paving gardens, patio, terrace, walkway, square, driveway, parking, etc. Different land areas require clay pavers of different abrasion resistance and breaking loads. 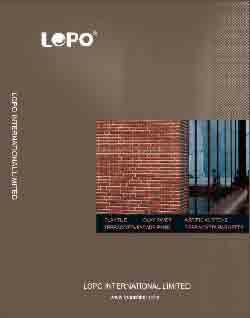 LOPO can provide clay pavers of different thickness accordingly. 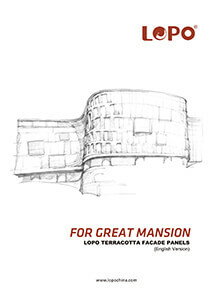 LOPO also offer terracotta stair and skirting tiles which has good performance in abrasion resistance and anti-slipperiness. Varying thickness, texture and color are available. LOPO 40-65 mm terracotta floor paver serve as suitable paving materials for use in areas such as public squares and driveways that require high compressive strength and great durability. LOPO 12-30mm terracotta floor pavers can be used in walkways, courtyards, gardens and indoor areas where the requirement for destructive load of the floor material is low. The product features constant color and good wear resistance. LOPO can provide terracotta floor tiles with a thickness of 12-30 mm and supporting terracotta stair and skirting tiles for indoor and pedestrian areas, and they feature good anti-slip properties.